Prabhupada would be giving a lecture and his glance would fall over you, and he’d just be looking straight through you. 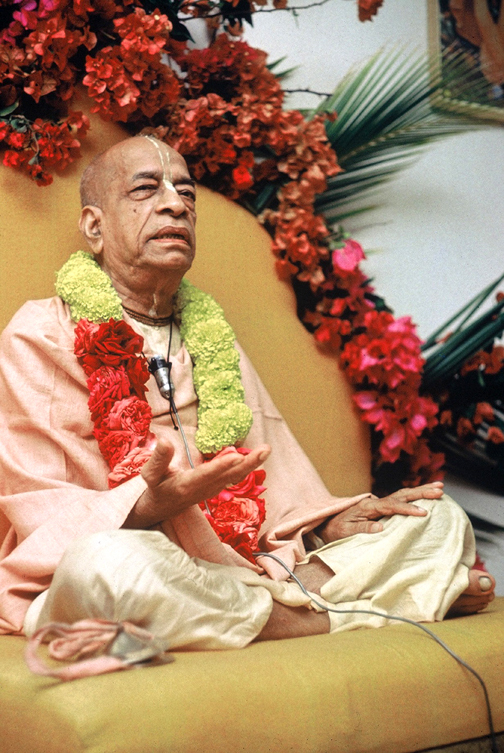 The devotees, they felt that Prabhupada was seeing right into their heart. I’ve heard that from a lot of devotees, and I’ve felt that also. Definitely that’s reality because it’s confirmed by not just me but it’s confirmed by so many devotees, they felt Prabhupada looking right into their hearts even though he was giving a lecture. And certain things he would say in the lecture, he’d look at you and that thing that he was saying was applying to you. He wasn’t just talking to the crowd, he was talking to you, and what Prabhupada was saying at that particular point in time really penetrated deep into your heart.